Jeff Golding is an expert in evaluating homes in current market conditions and has the resources to do this as accurately as possible. 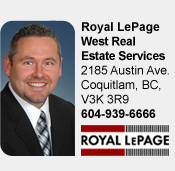 He can prepare a comprehensive market analysis for you on your home's value at no obligation. He will help you with the tricky task of setting a selling price. Price too high and you'll discourage potential buyers; but price too low and you may be doing yourself a disservice. Jeff Golding can advise you on home repairs and maintenance to maximize your selling price. He can tell you what works from their experience in the market. Jeff Golding will list your home through the Multiple Listing Service (MLS), a substantial database of properties that all Realtors have access to. Through the MLS, your property will also be listed on the RealtyLink public access website, RealtyLink In Print newspapers and on daily hotsheets distributed to Realtors. When you use Jeff Golding to sell your home, you're enlisting the services of a marketing professional. He already has in place a proven marketing plan that will advertise the listing of your home to the general public, neighbours, their clients, their professional contacts and, most importantly, qualified buyers. Jeff Golding will deal with the scheduling of appointments, the showings of your house, and the all-important follow-up calls with potential buyers. He is an experienced negotiator who will liaise with buyers and their agents on your behalf to get you the maximum price, the best terms and close the deal. Jeff Golding has a full understanding of the legal contracts and obligations involved with selling your home and will advise you on your rights and responsibilities. His professional knowledge can be indispensable in putting together a successful deal. 604-939-6666 or fill out the form below.